Discount Excludes Wellness, Iams, Purina ONE, Beneful, Purina Chow products, Pedigree, Cesar, Friskies, Fancy Feast and Whiskas. Protect them from pests with strong flea and tick prevention! Save now on the brands you love—plus free shipping on all orders! 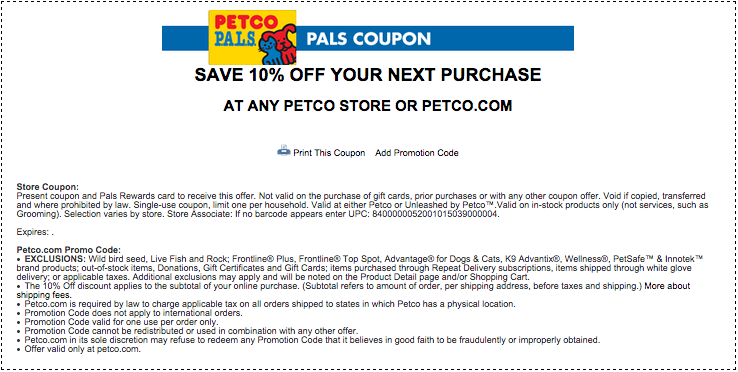 Get 10% off with coupon and Pals Reward card.